Tanga til RangerGrip 90 som hviler i huset. The new Ranger pliers, this works very well and the mechanism is really worth looking closer on. The precision and production it takes to produce something like this is top notch. MultiTools is a word that everyone today now and so will show some pictures of this and talk on it. The Pliers got a wire cutting part and the lenght of the needle nose is really good for removing a hook from a fish. It will work well for camp work. One part i did notice right away was how comfortable it is in the hand, one get good controle. If you are into Swiss Army Knives then i suggest looking closer on the special spring mechanism and see for yourself how it is made. When the new Rangers was made it is in a philosophy that size matters, we see this on the functions on this 130mm category. The comfort of use is important that one have functions that can cut a thick branch or work on gear in the camp or at sea. I tester i Villmarksliv og andre steder har tanga og de nye knivene gjort det meget godt, det hjelper også godt at det er en Sveitserkniv med mekanikk og presisjon som er vanskelig å slå. This is a very interesting construction, this would work well on camp duty and for fishing. The best Plier models is the one on medium thickness knives. 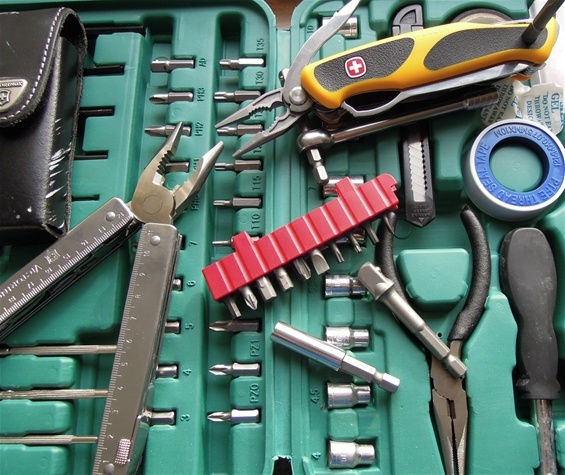 It is not a heavy duty pliers in the sence that it can take as much as the SwissTools or Leatherman. 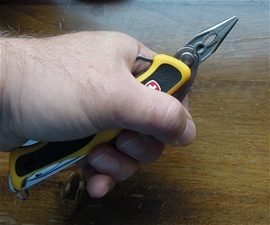 It is for me a medium use pliers for the outdoors use for example shown in tests in Villmarksliv and so on. Together with the opening for bits then one have a combination with the extra! 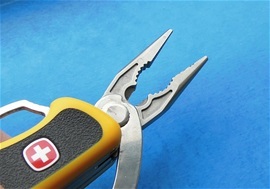 The use of a plier for work with bolts one would need a more sturdy construction and steel. Comfortable in the hand, it got a spring so one have better controle. 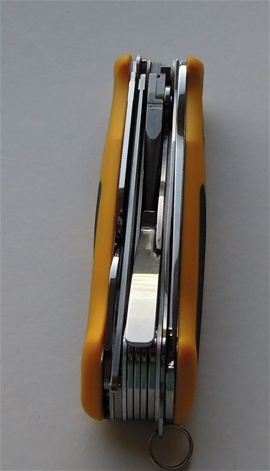 One may use the plier in both directions ( up and down and so on) Depending on work. It is fun to use. This plier is nice for bigger triple hooks, to repair them if bent. 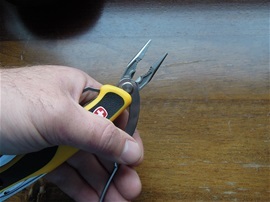 I recommend reading my page on the New Ranger pliers and the medium to light duty use. If you wonder what size of fishing hooks that are medium then the picture on the right is a guide. For most the medium size hooks there are considered bigger. For this is it very good. The one on the right is too big for sure. To be safe i would not bend bigger hooks than the medium marked on the picture. For sure i can bend the biggest with a technic. I just do not recommend it if you are not experienced yet. Here is one for the brain and maybe not everyone would agree with me. My feel says that a short plier with a rather long arm gives strength and force at the tip part of the needle nose section. 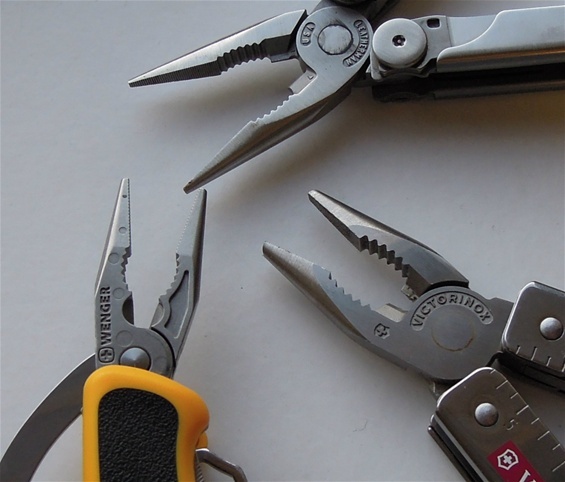 It is possible to get a firm and strong grip with the Wenger plier. Especially for fine work this is comfortable and secure. If you read my pages and research on pliers then a picture will form. My belief is that the lever arm is at the center of the rivet construction. The lever arm move the jaw into the different jaw gaps needed. Because the plier is short and the lever arm is on the center on the rivet and the lever arm is rather long it gives a firm and strong pressure at the front section and at all the gripping parts of the plier. To me it seems that if the plier would be longer the pressure at the tip will be less and the lever arm would have to be even longer. This would make a flex that would be too much. 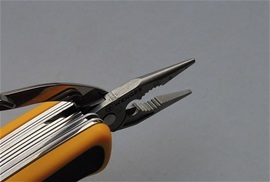 The reason that a long plier would be less at the front section is the flexibility and design of the plier and that you are further away from the center. It is important that the plier is not too long. The Wenger design is correct! Let me know what your impressions are and physics knowledge. I am done and complete testing the plier on the New Ranger knives. I am happy with it and there are not many pliers out there with this type of spring loaded design and that it is possible with the pressure from the thumb alone to get strength on the front section. If you are looking for a light to medium use plier for fine control then this is the one for sure. Please take the tour! The design on the Wenger plier is flawless if you use it for light to medium tasks. It was made for this and it will perform for what is was made for. I must say the spring loaded action with the lever arm is very nice. It saves time and it gives the best control. The spring is sturdy and gives a much better action than on other spring loaded designs in the world. Some spring loaded pliers in the world got a very weak action.